Novels may have a lot more power than we think. 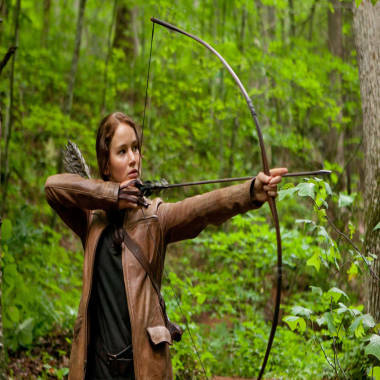 When you identify with a literary character, like Katniss Everdeen of the "Hunger Games" books, there’s a good chance you’ll become more like her, new study shows. Researchers have found that when you lose yourself in a work of fiction, your behavior and thoughts can metamorphose to match those of your favorite character, according to the study published early online in the Journal of Personality and Social Psychology. The researchers believe that fictional characters can change us for the good. So, if you bonded with Atticus Finch in “To Kill a Mockingbird,” you might become more focused on ethical behavior, says the study’s lead author, Geoff Kaufman, a post-doctoral researcher at Tiltfactor Laboratories at Dartmouth College. Kaufman and Libby found that experience-taking can lead to real changes in the lives of readers. What the researchers can’t say yet is whether those changes are brief or long-lasting. The researchers ran several experiments to look at how we react to fiction. In one, they found that people who strongly identified with a fictional character who overcame many obstacles in order to vote were significantly more likely to vote in a real election days later than volunteers who read a different story. In another experiment, the researchers compared two groups of volunteers who read different versions of a story in which the protagonist was gay. In one version, readers didn’t learn till the end that the character was gay. In the other, they learned that detail right at the beginning. Study volunteers who learned about the sexual orientation of the hero at the end of the story expressed more positive feelings towards gay people when they were questioned later on. That’s because they got to know the character and connect with him before they had a chance to cloud their impression with gay stereotypes, Kaufman explains. Those who learned about the character’s sexual orientation early on didn’t relate to him as much because their stereotypes put distance between them and the character. So, who is Kaufman’s favorite fictional personality? Anna Karenina, the protagonist in Leo Tolstoy’s novel of the same name. What literary character do you most identify with, and why? Let us know in the comments here, or over on our Facebook page -- we may use you in an upcoming msnbc.com post!